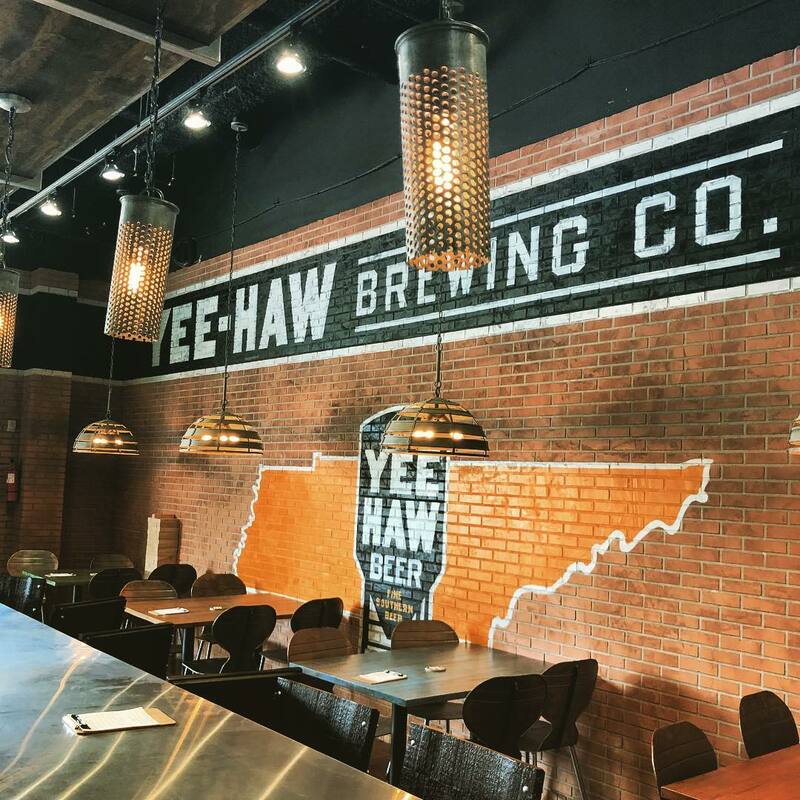 The second location of the popular Tennessee brewery boasts an experimental brewing system and full taproom, plus dining, shopping, and live music on weekends. 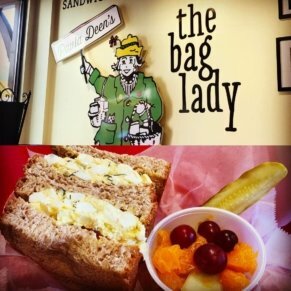 This is the only location where you can pick up the award-winning brewery's line of bourbon barrel aged beers, which makes it a must try for craft beer lovers. 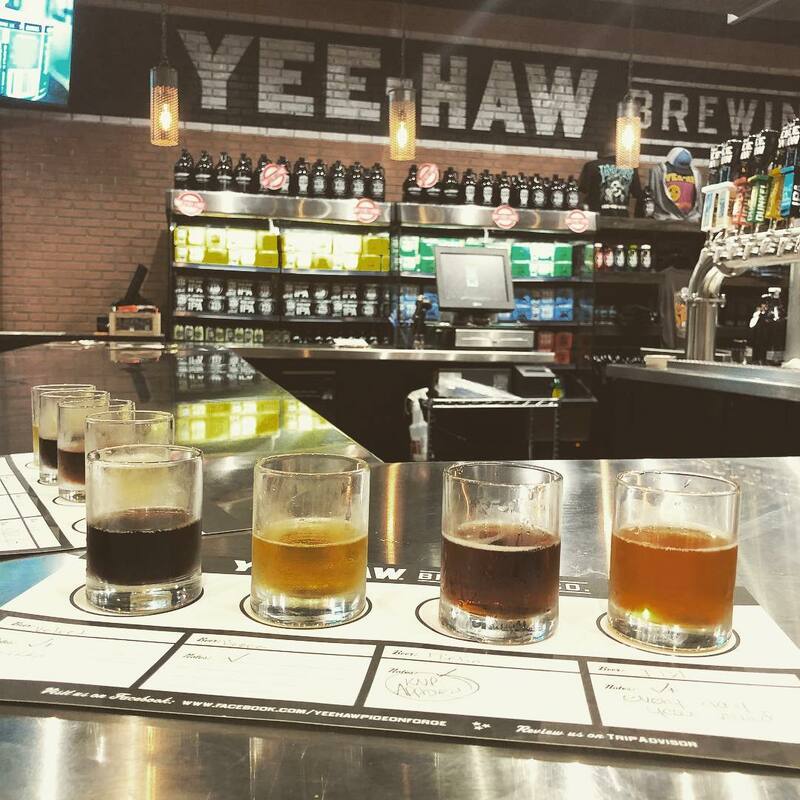 Yee-Haw Brewing Co. was started by a bunch of beer geeks who loved the way that beer brought people together. 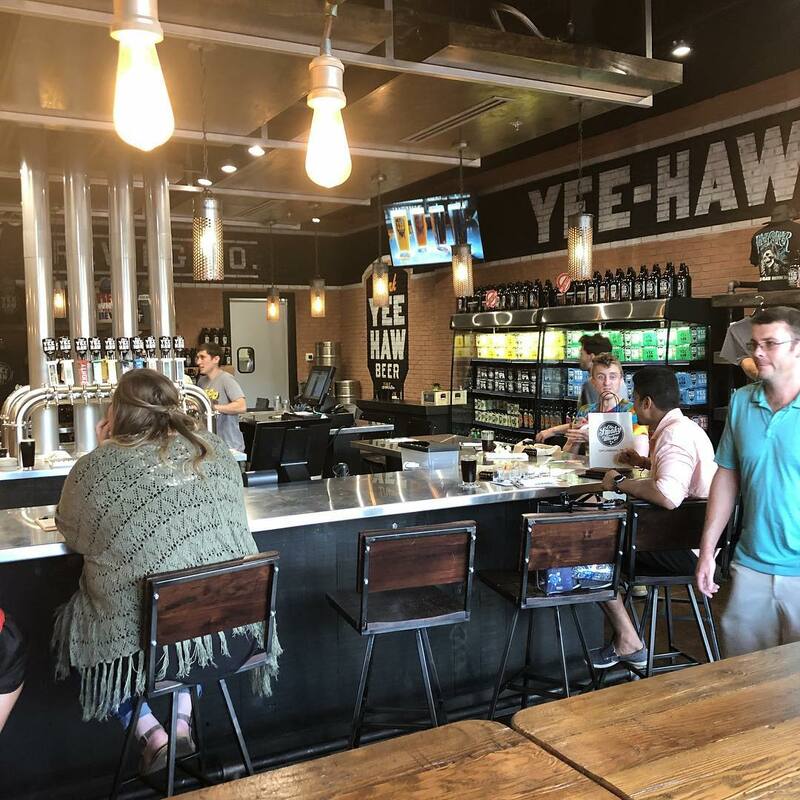 You’ll find that same friendly and fun experience when you visit Yee-Haw Brewing Co. at The Island, a Pigeon Forge dining and shopping complex. 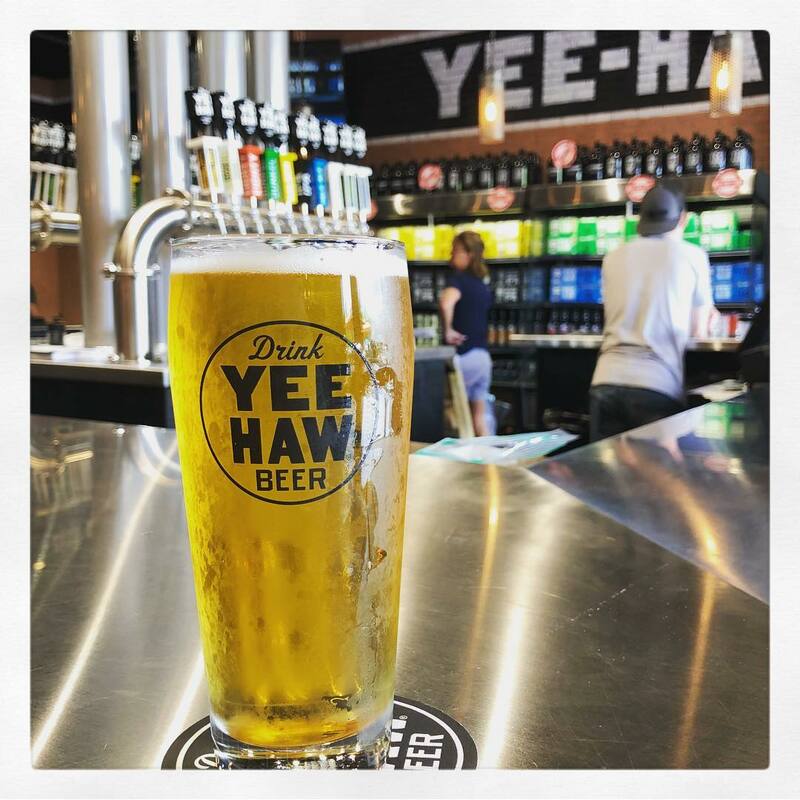 Yee-Haw Brewing Co. launched with four flagship brews, the Pilsner, Pale Ale, Eighty Shilling Scottish Ale and Dunkel dark larger, and these are still available at every location. Specialty brews with limited availability include seasonal offerings and heavy beers aged in bourbon barrels. 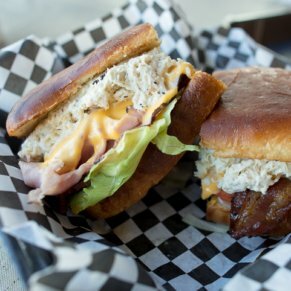 The team behind Yee-Haw Brewing Co. at the Island loves German beers (so you might be able to look out for more classic German styles coming on rotation), but what they love most is having fun. 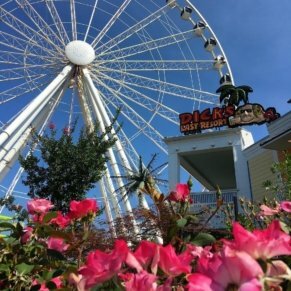 The brewery’s Pigeon Forge output is located at The Island, which is a family friendly entertainment center with more than 35 shops, carnival games and rides, full-service restaurants and food carts, and so much more. 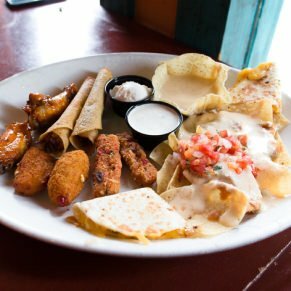 You can stop by for a quick pint or flight or spend hours exploring everything The Island offers visitors to Pigeon Forge. 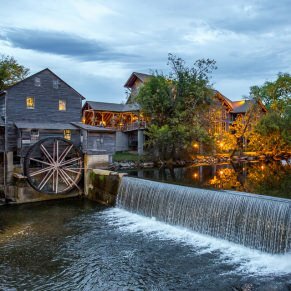 With quality live music, plus easy access to shopping and dining attractions, the Pigeon Forge location was a natural fit for the spirit of Yee-Haw. 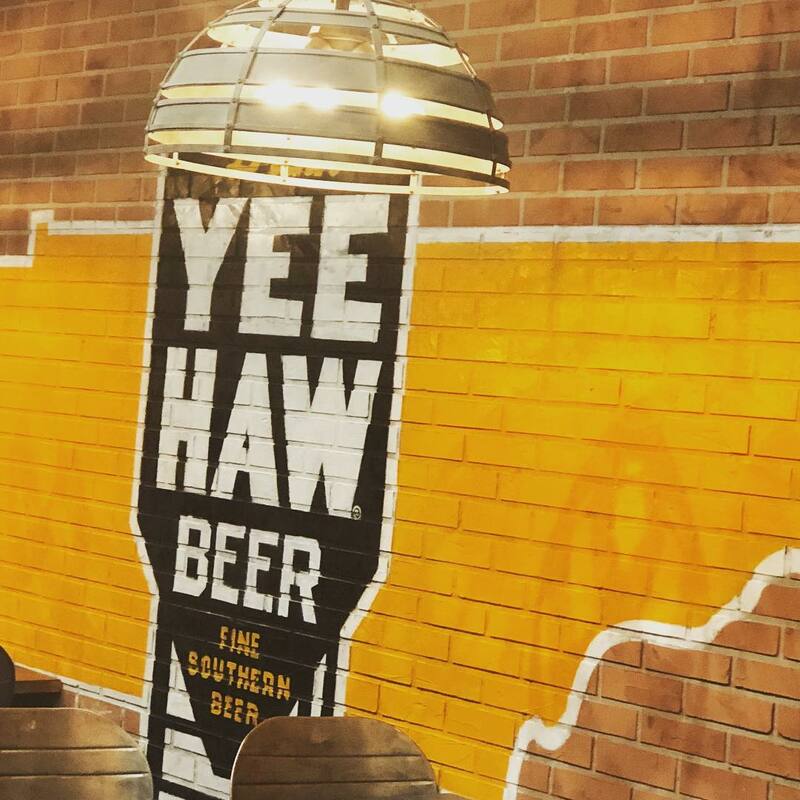 Yee-Haw Brewing Co. started in 2015 in Johnson City, Tennessee, brewing beer in an 1800’s railroad depot. 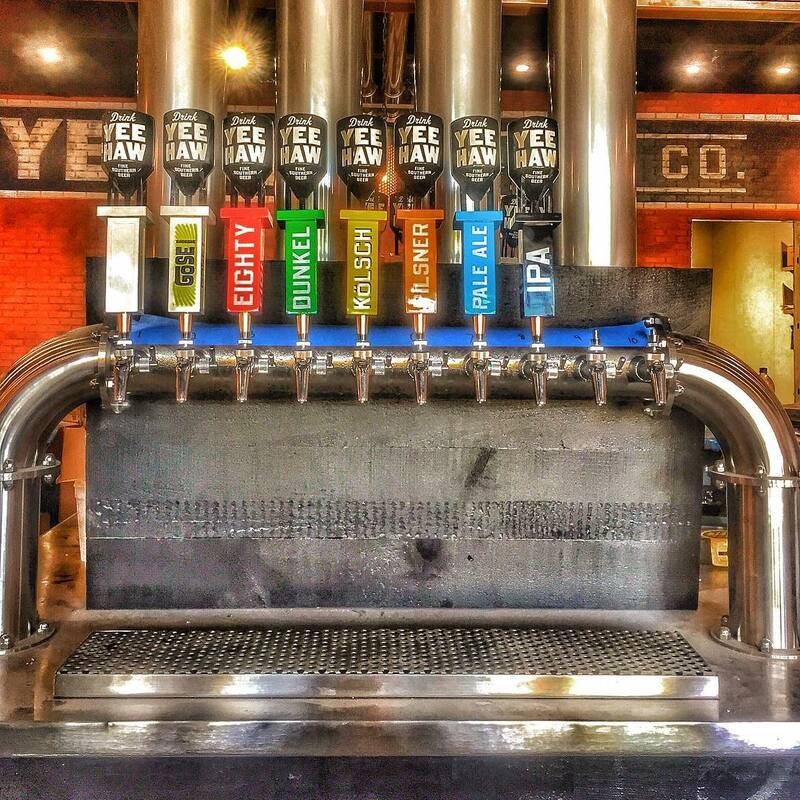 The brewery blossomed and spread throughout Tennessee, showcasing a commitment to high-quality classic beer styles made with top notch ingredients. 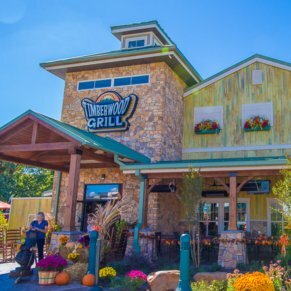 This isn’t a brewery that’s chasing the trends with hop bombs or sour ales, and that’s exactly what makes it so popular in Pigeon Forge. A crisp, golden Bohemian style pilsner that’s flavorful, fresh, and plays well with any food, this year-round drinker is easy to love. 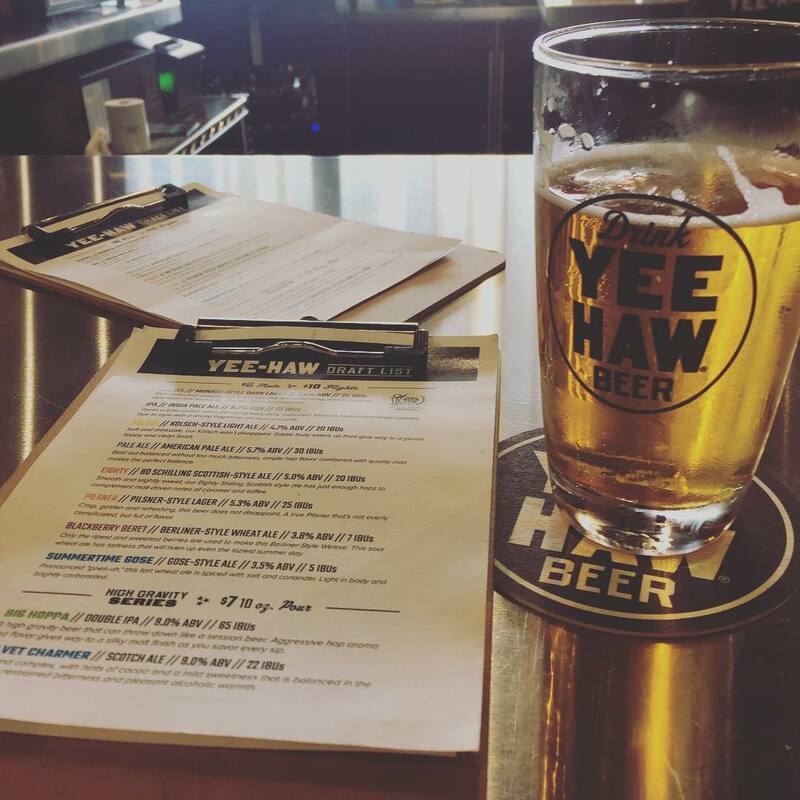 Yee Haw’s pilsner comes in at 5.3 percent ABV. 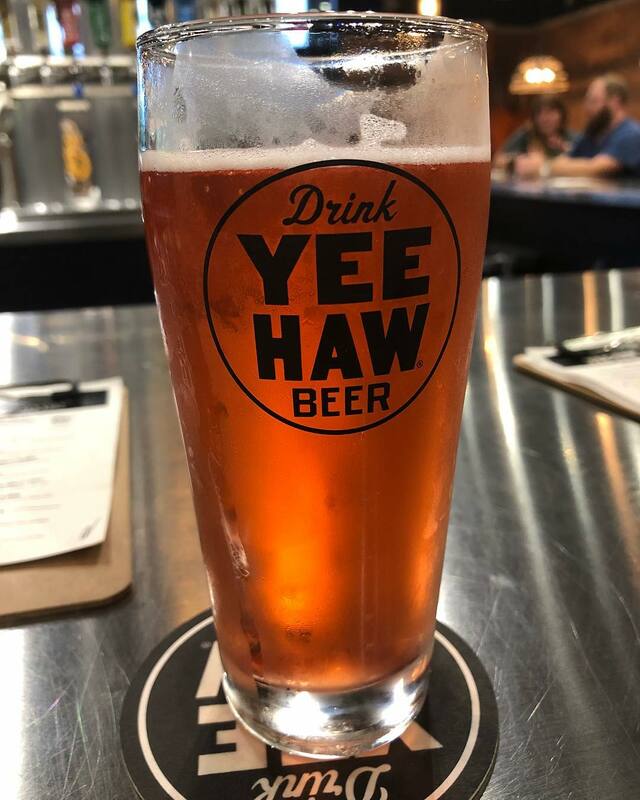 A little bit sweet, a little bit hoppy, and a little bit malty, the APA from Yee-Haw is available year round. 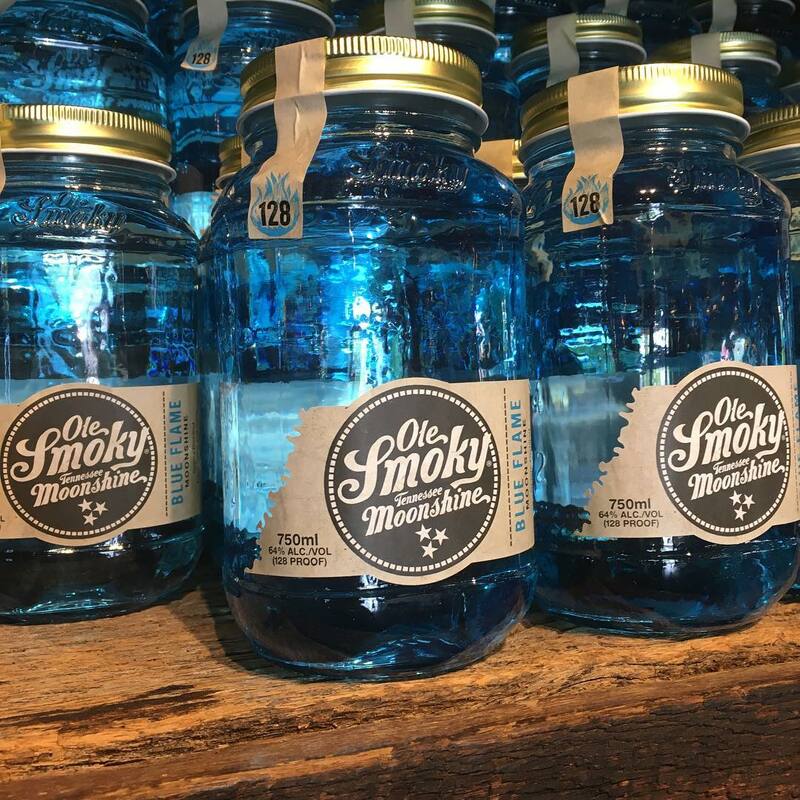 With a 5.7 percent ABV and no bitterness, it’s an easy drinker that will leave you feeling satisfied…and ready for another round. Try this one because it’s a Scottish ale with low hops — something you won’t find at most Southern breweries — and because you’ll love the toffee caramel flavors in this fall and winter favorite. Yee-Haw’s Dunkel took bronze at the 2016 World Beer Cup for European-Style Dunkel. The Munich Dunkel is dark without being heavy and loaded with notes of cocoa, caramel, and malt biscuit. At 5.5 percent ABV it’s the perfect holiday warmer. At 9 percent, this strong Scotch ale is rich with sweet flavor, black licorice notes, and a bitter finish. It’s deep, moody, and a one of a kind experience. Hop heads rejoice, there is a a double IPA for you. At 8.5 percent, Big Hoppa combines British malts and American hops for an aggressive and intense DIPA you won’t be able to put down. 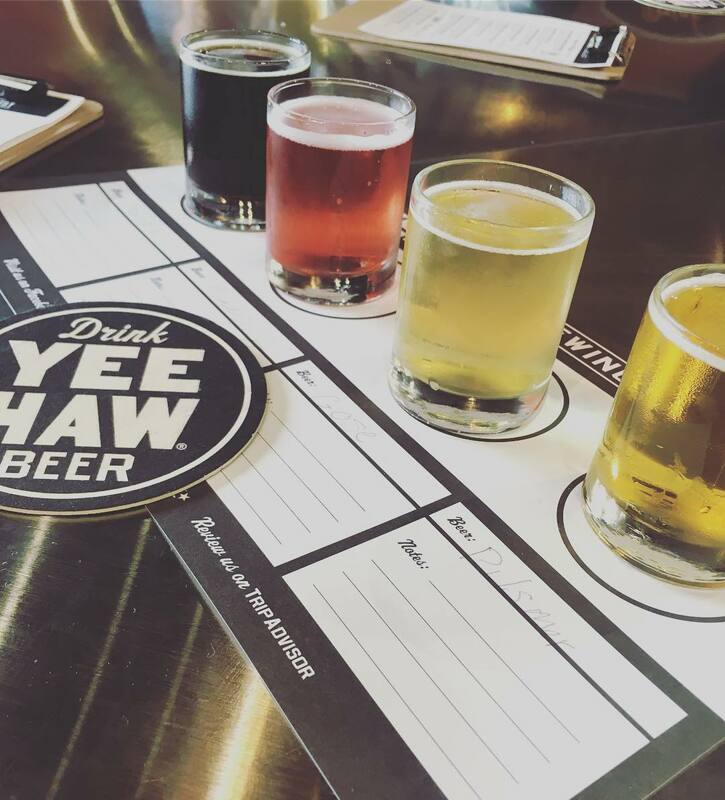 Beer flights are available if you want to try multiple offerings from Yee-Haw Brewing Co., but want to limit your alcohol consumption. The brewery sells bottles and growlers, too. 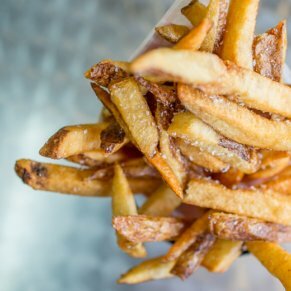 -Keep up with the brewery’s busy events schedule on their Facebook page, which lists special events at all locations of Yee-Haw Brewing Co..
-Leave room for an order of the loaded tater tots.